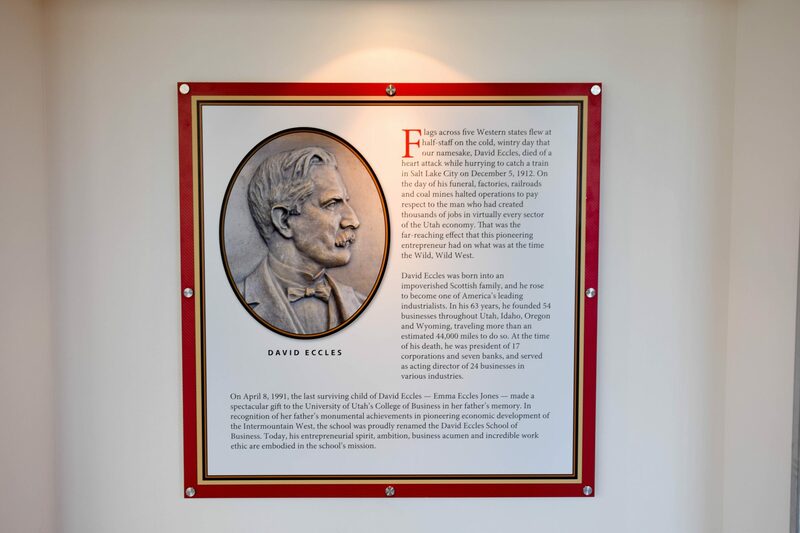 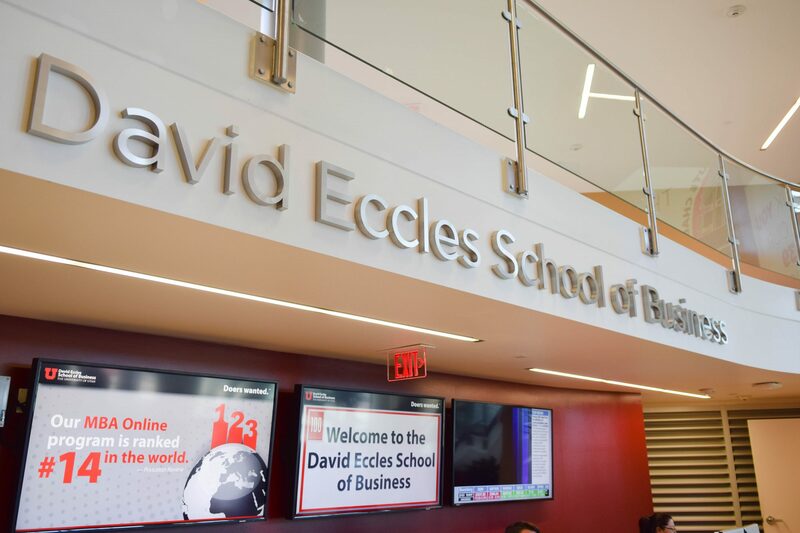 The David Eccles School of Business is comprised of five buildings in Salt Lake City, Utah: Spencer Fox Eccles Business Building (SFEBB), C. Roland Christiansen Center (CRCC), Business Classroom Building (BuC), Thomas S. Monson Center and Lassonde Studios. 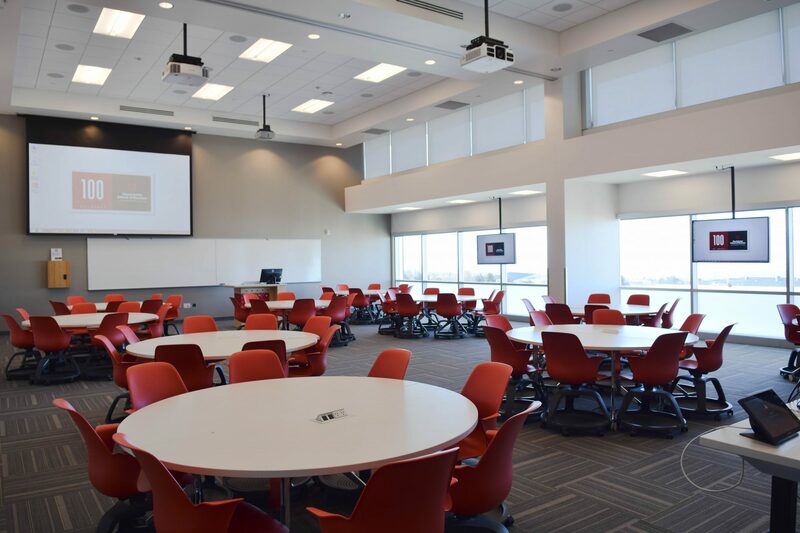 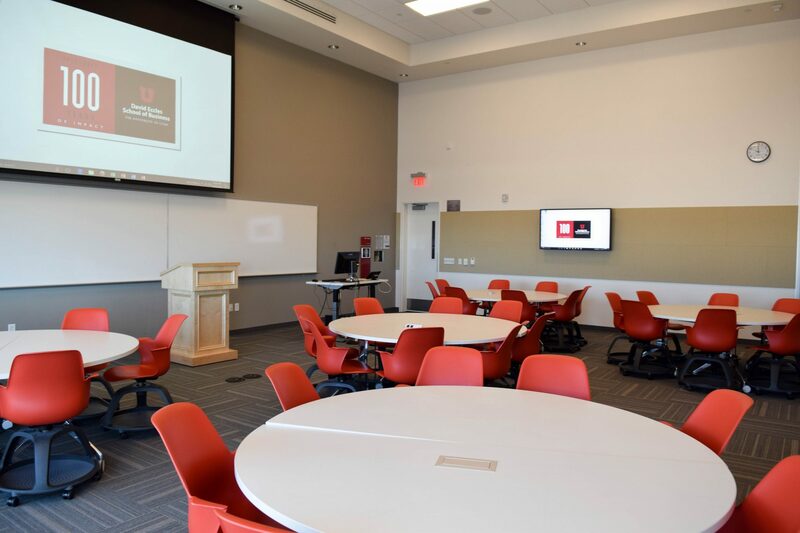 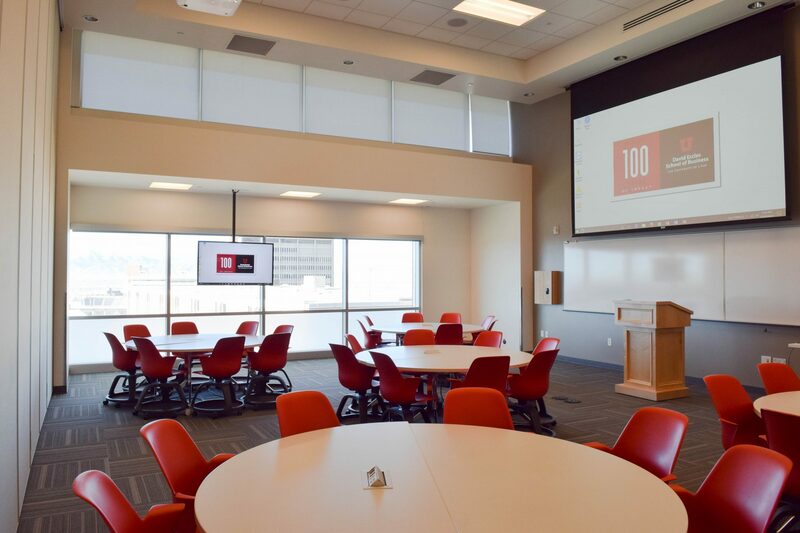 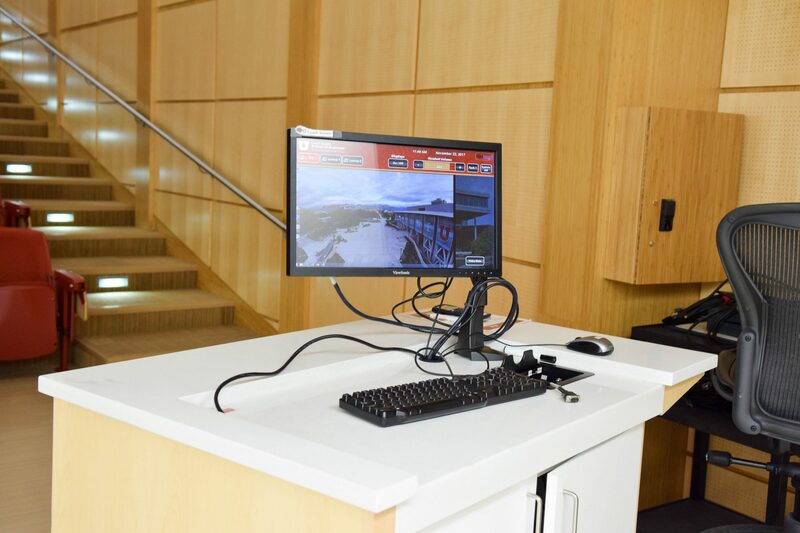 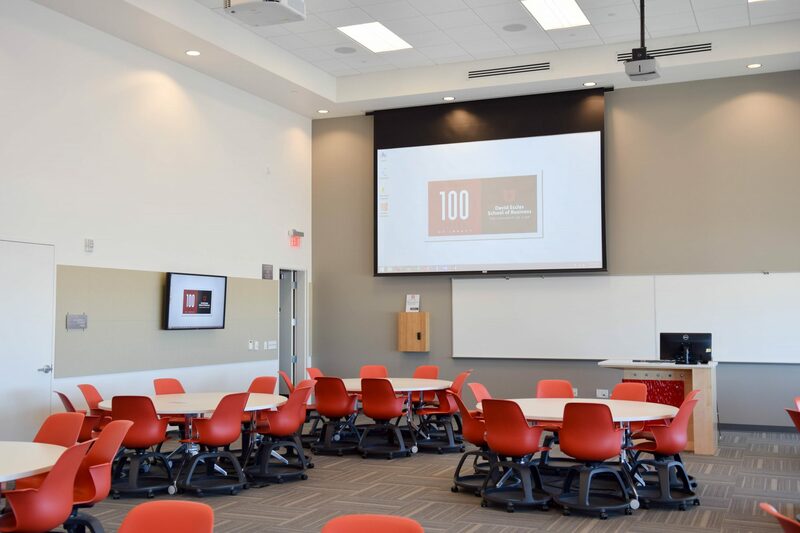 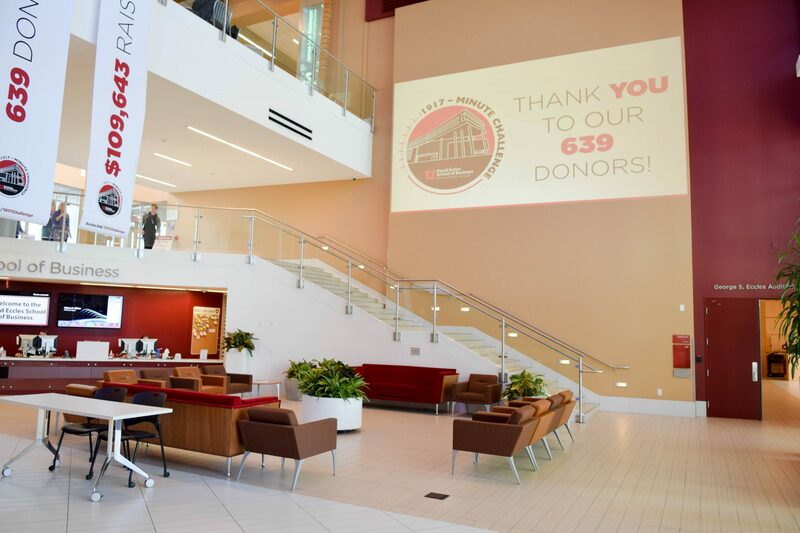 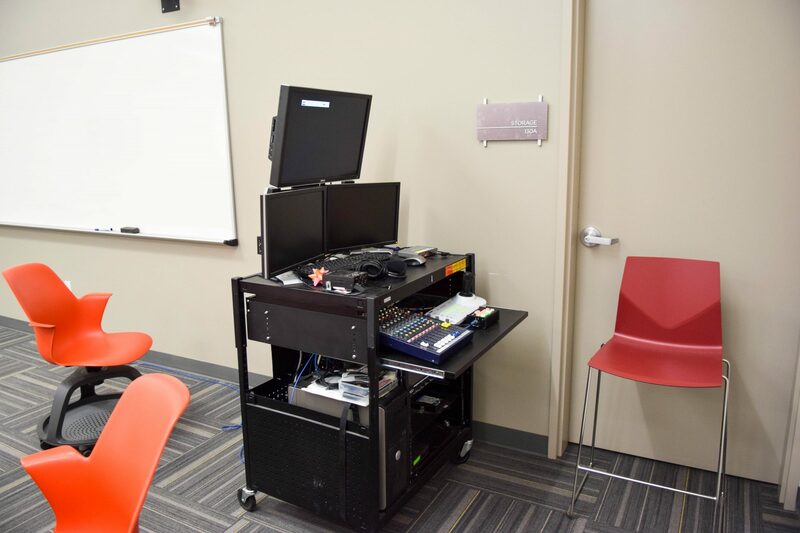 The Eccles School offers several event spaces available for event use by on-campus and off-campus groups. 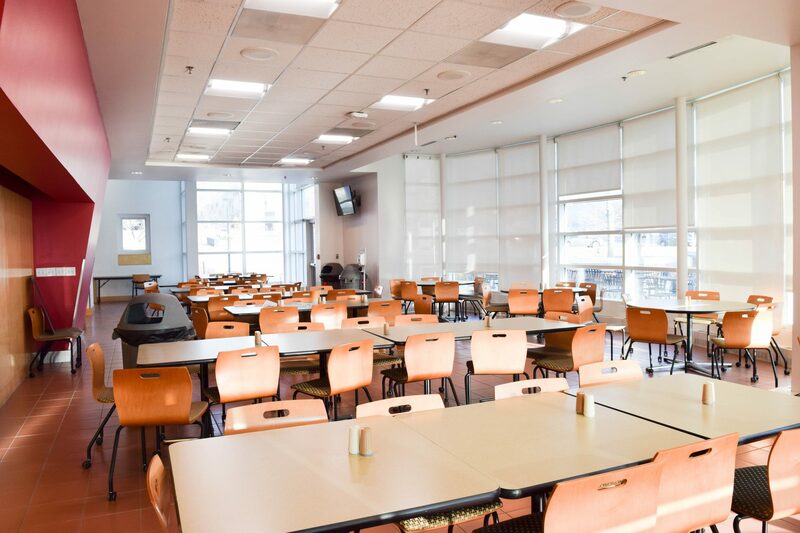 See below for more information about available spaces to make a reservation. 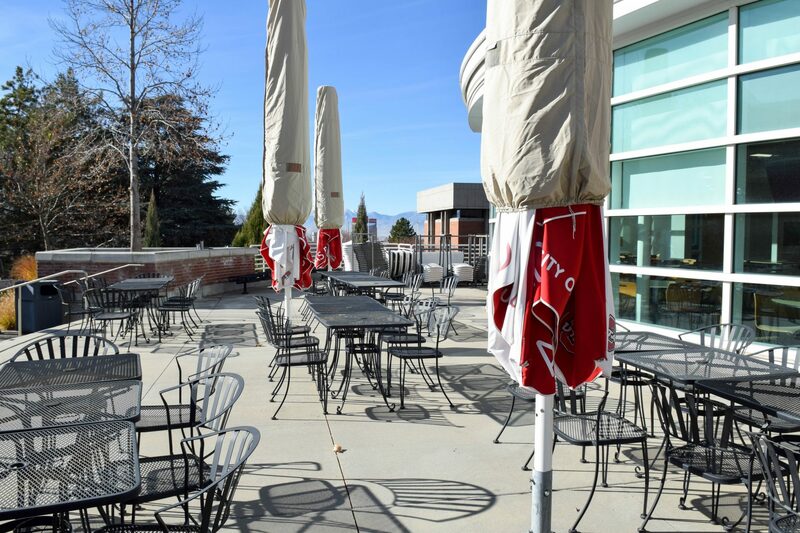 If you have any questions, please contact Ashley Hill at 801-587-0727 or Ashley.Hill@Eccles.Utah.edu. 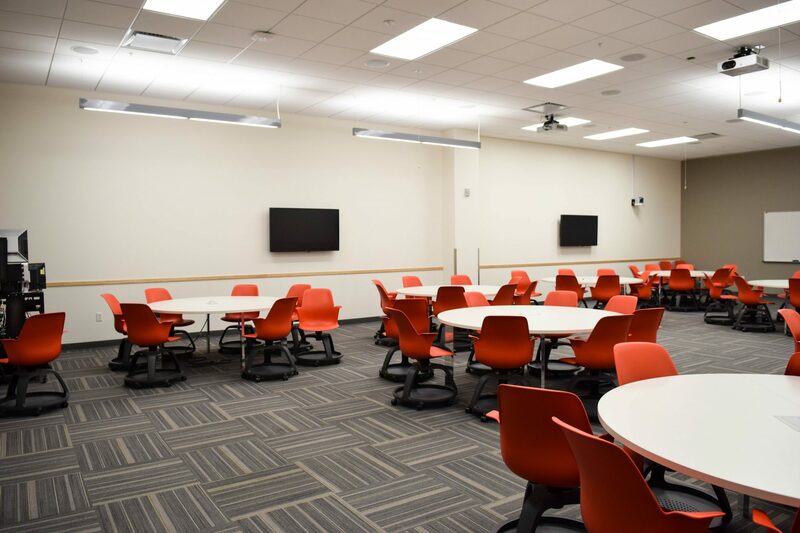 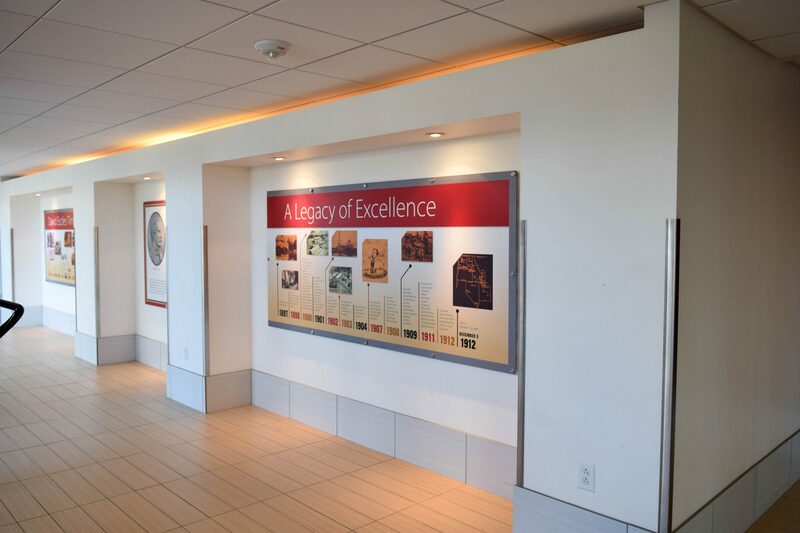 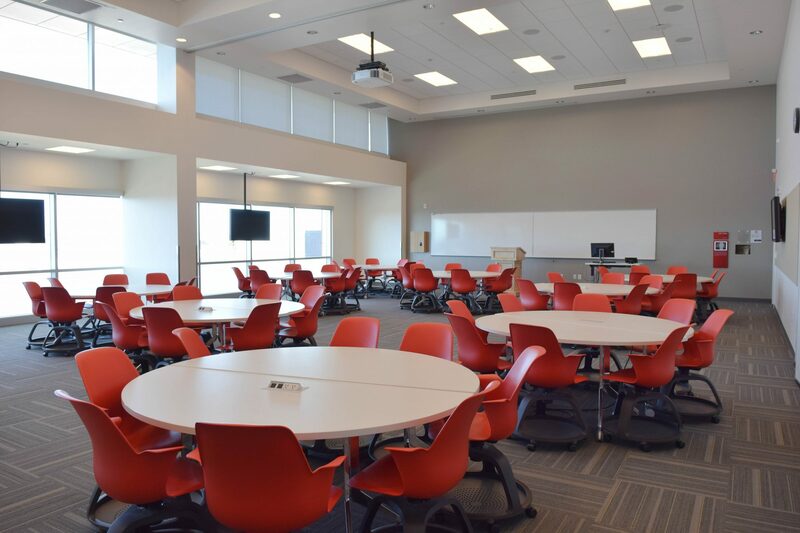 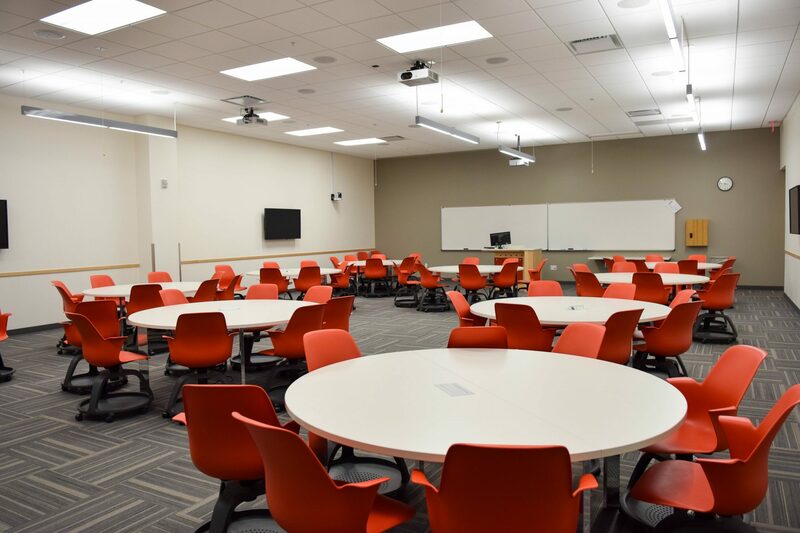 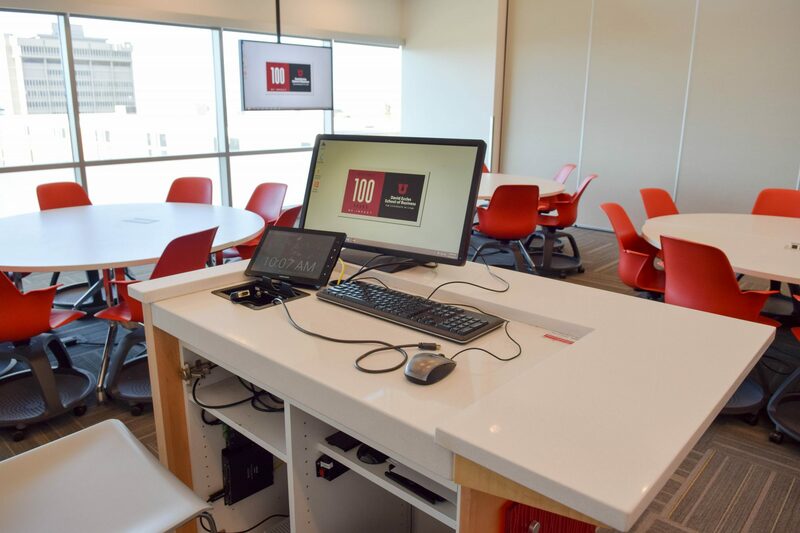 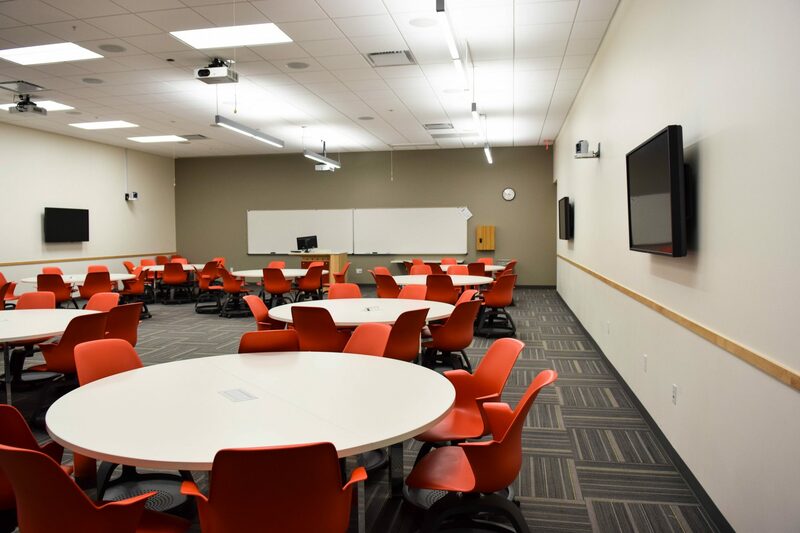 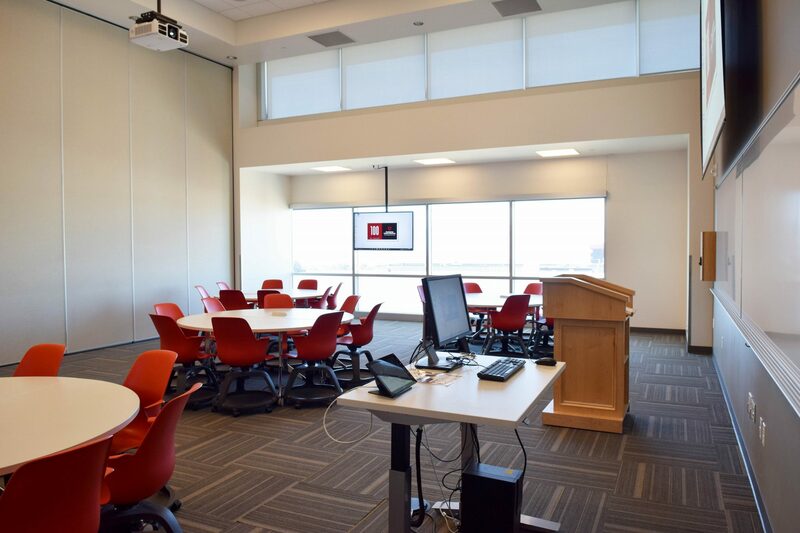 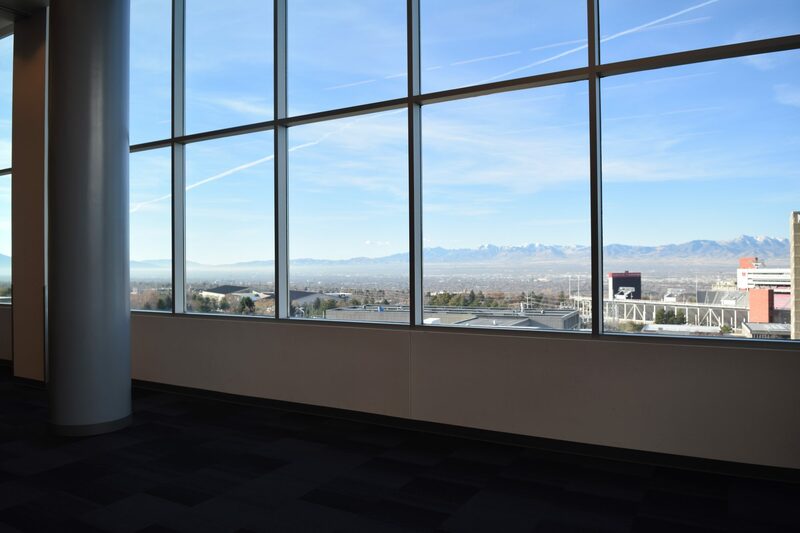 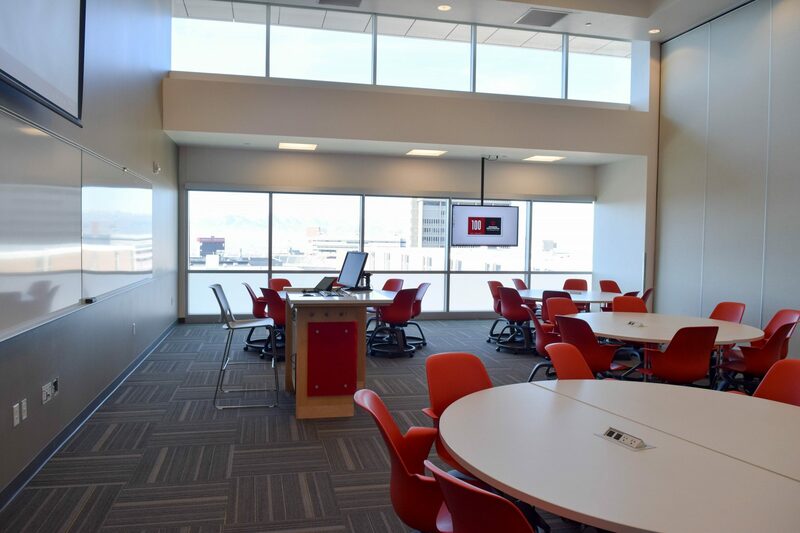 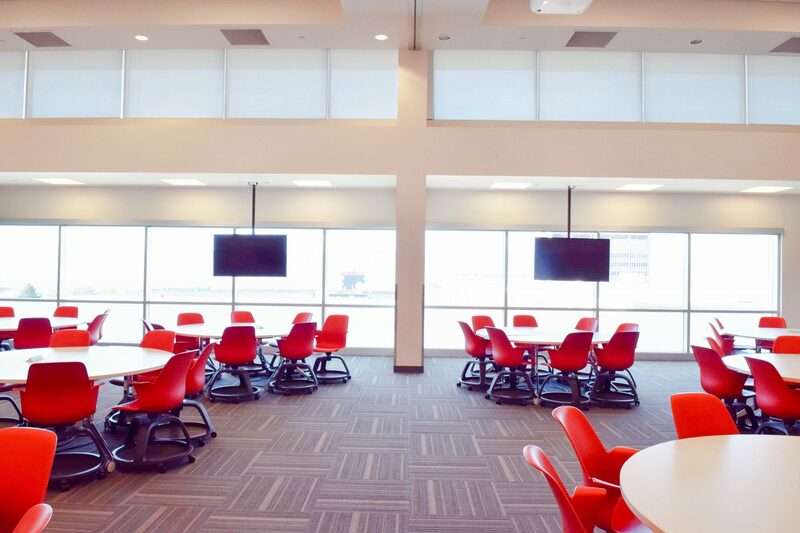 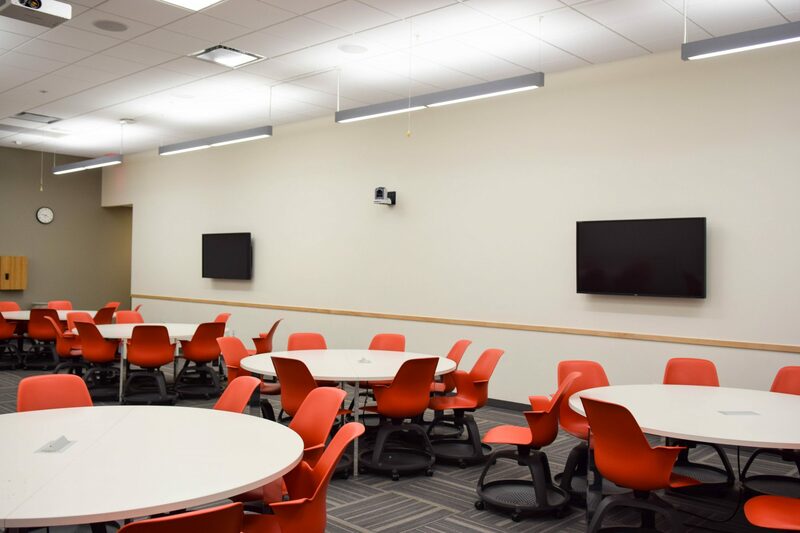 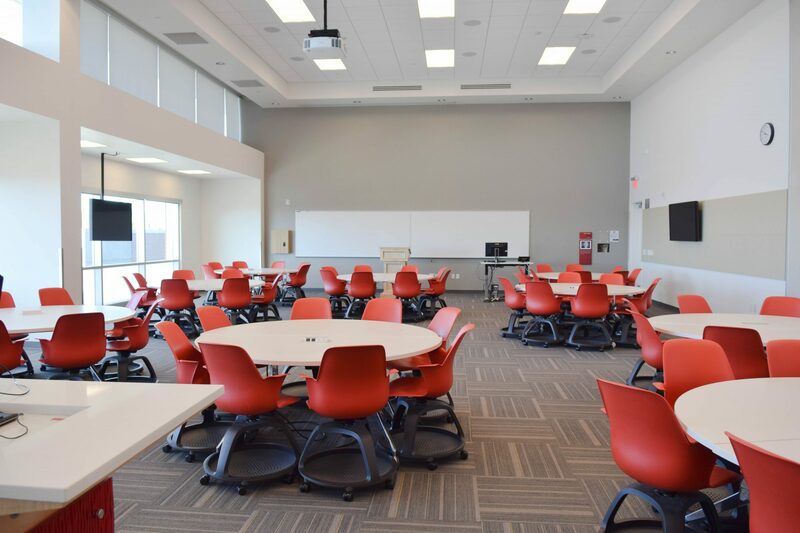 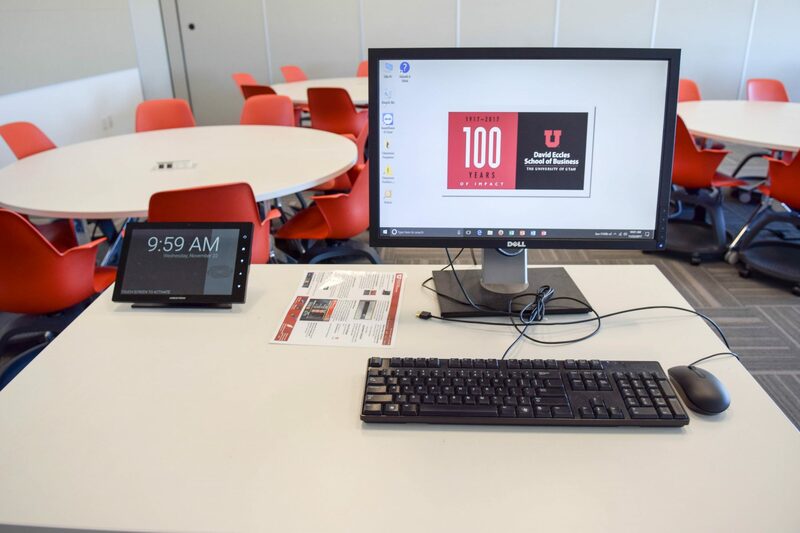 Please Note: If you are looking to reserve space for personal use, please note that due to high volume of usage from those within the Eccles School and the University of Utah, the space generally has little availability, especially during semesters. 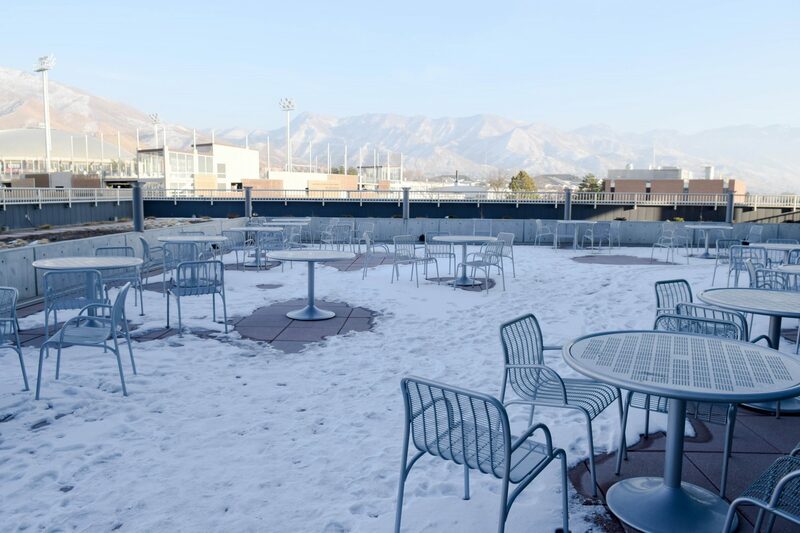 All requests are subject to approval of Events Management. 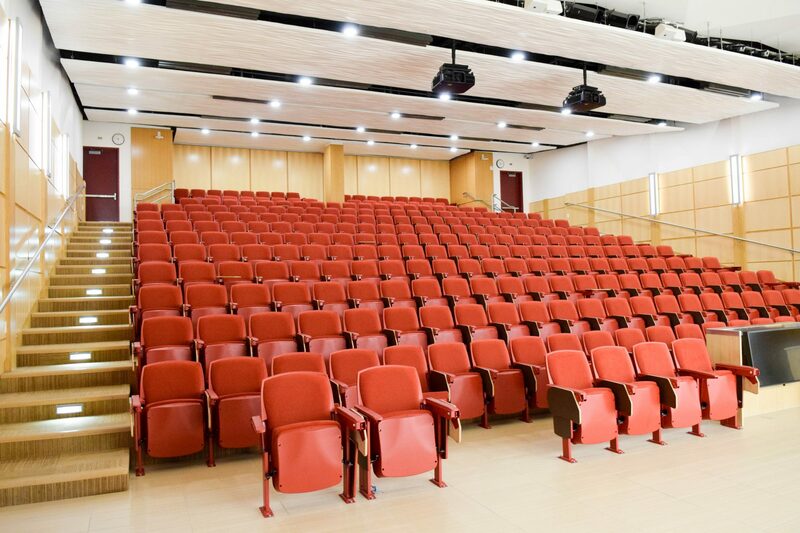 Please use this form for any small or large events. 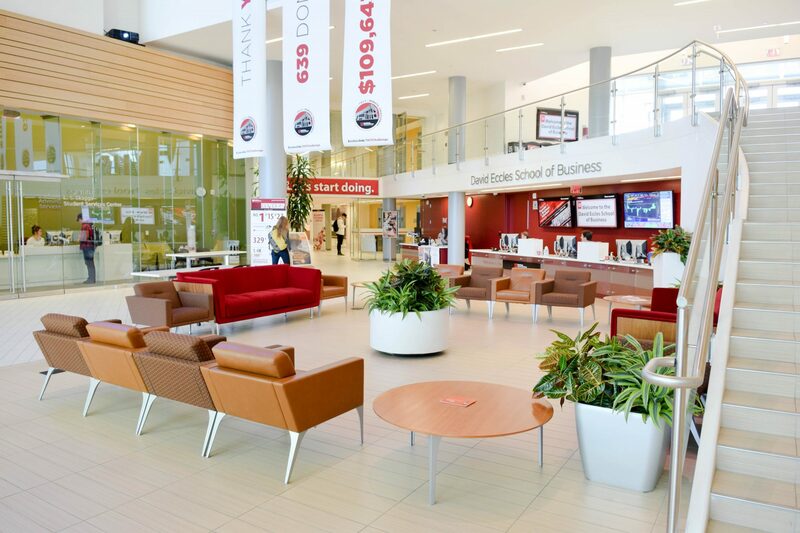 Please use this form for any tabling needs in the SFEBB Lobby. 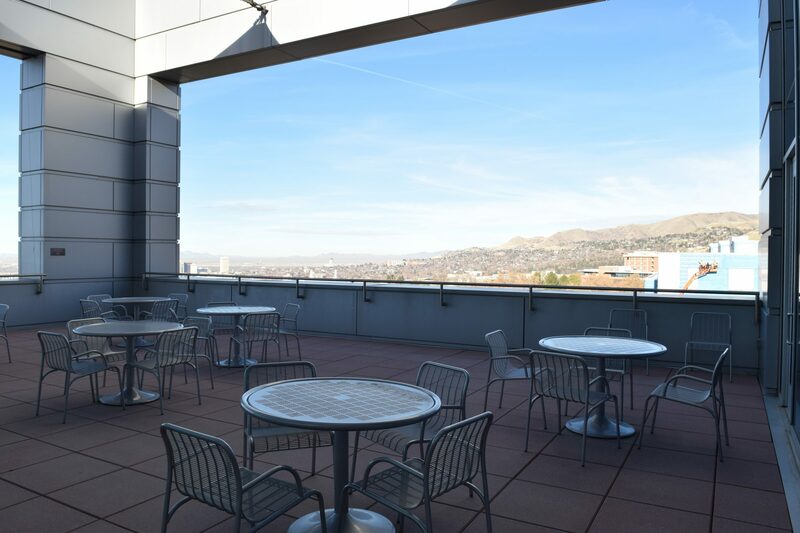 Please Note: Please use the filter function to view availability of event spaces. 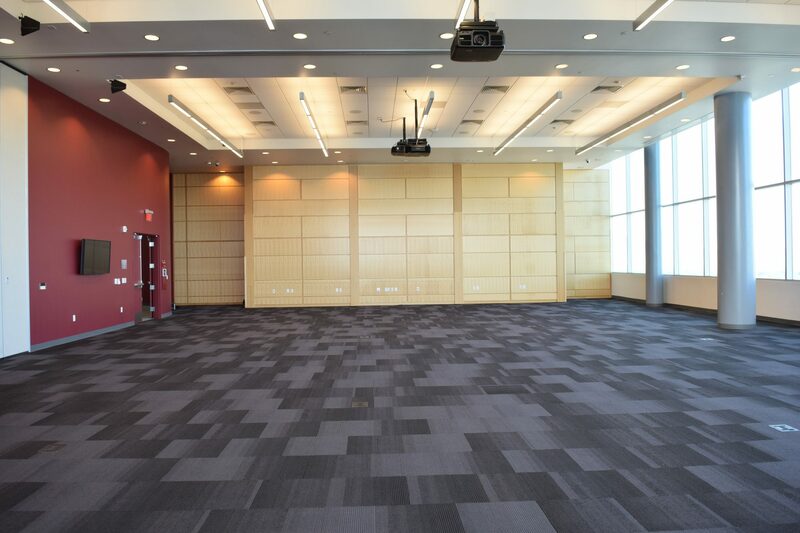 Child Hall is the primary meeting and event space in the Spencer Fox Eccles Business Building. 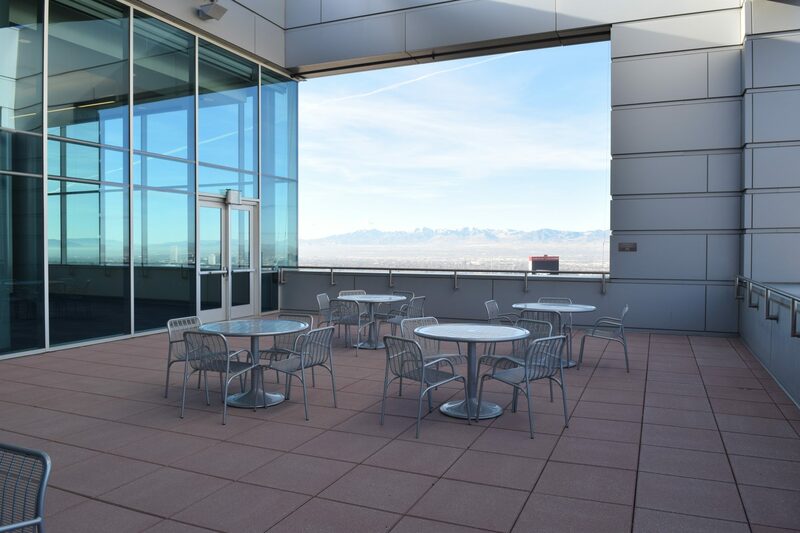 It comes complete with an outdoor balcony and large windows overlooking the Salt Lake valley. 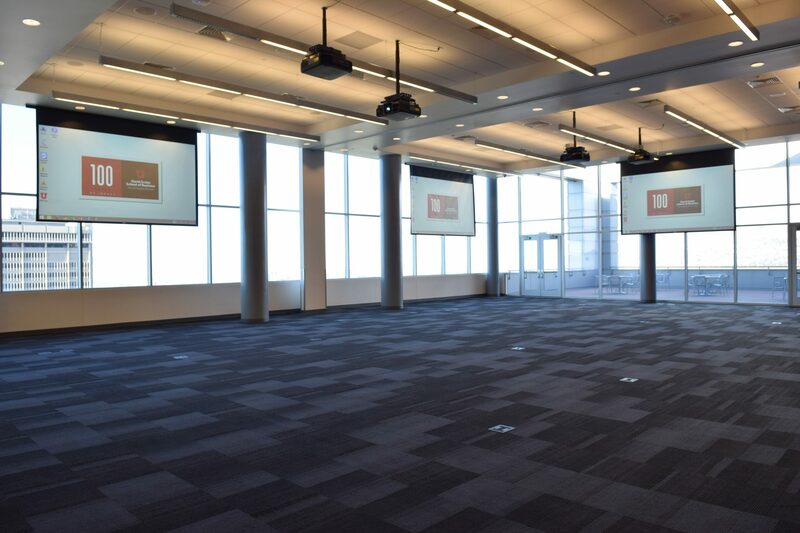 The space can be used as one large room or it can be divided down the middle via a folding air wall for smaller events. 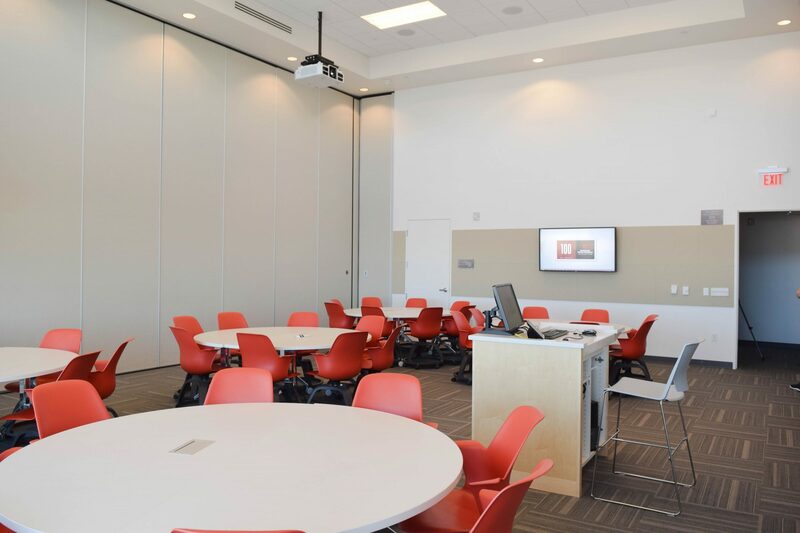 Child Hall is readily equipped for any event setup, be it a banquet, business meeting, trade show or classroom. 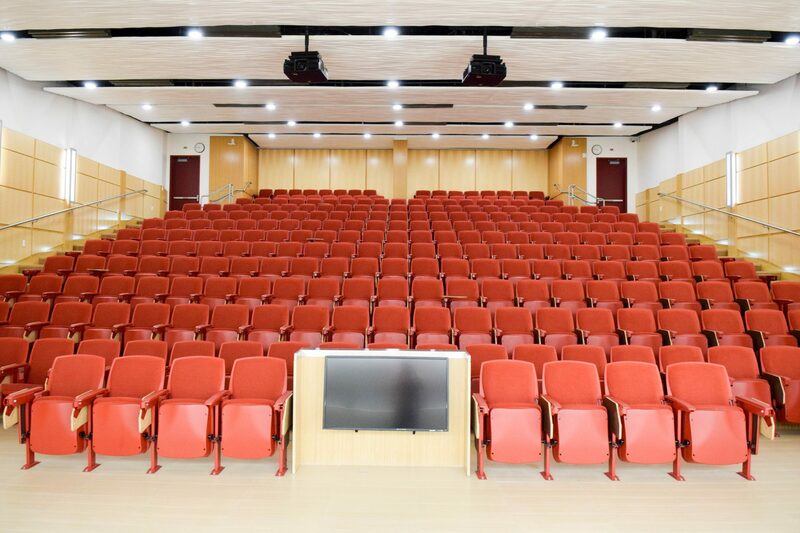 Astra Code: SFEBB A or SEFBB B for half of the room; to book the entire room, please book both spaces. 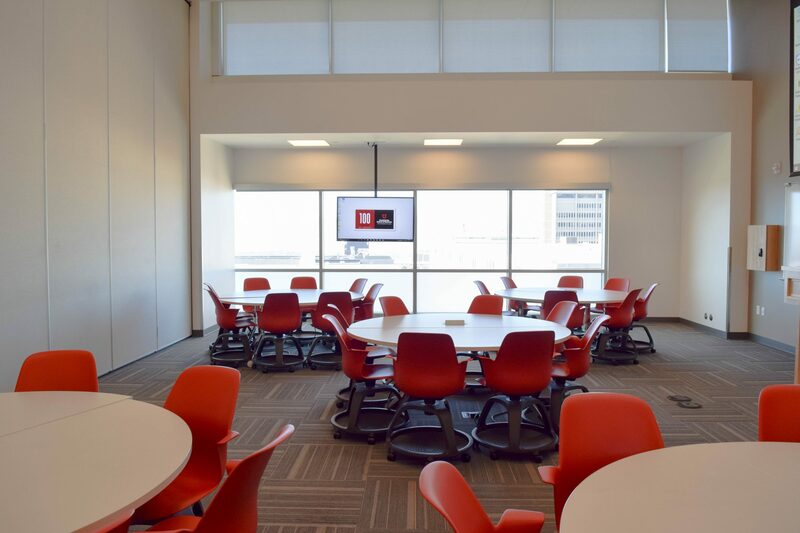 These classrooms have the ability to be combined into a single large space. 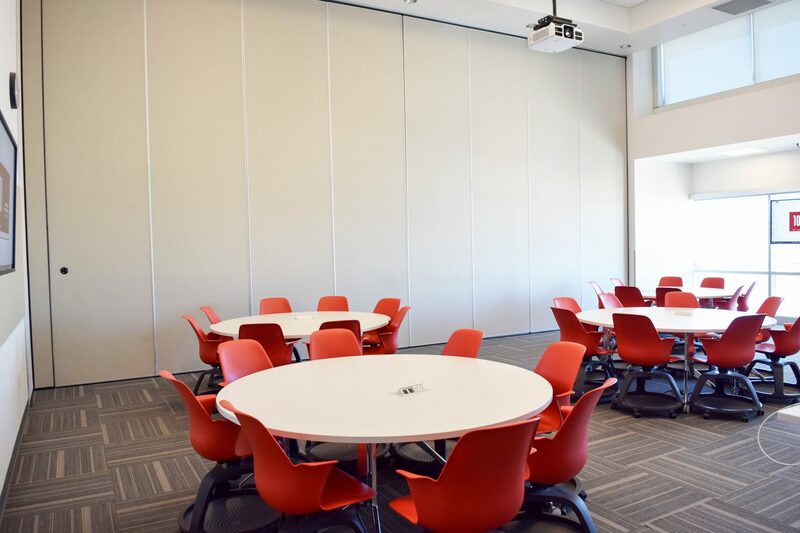 Each room contains 5 round tables that can be split apart into half-crescent tables, should the need arise. 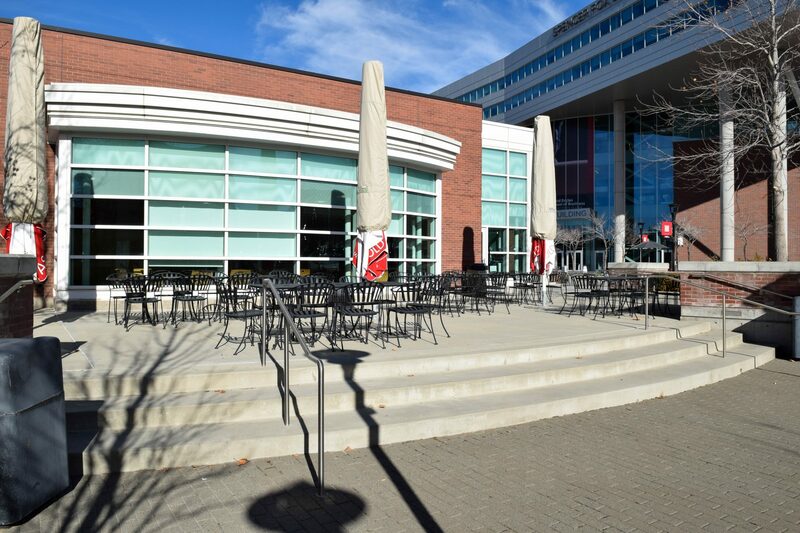 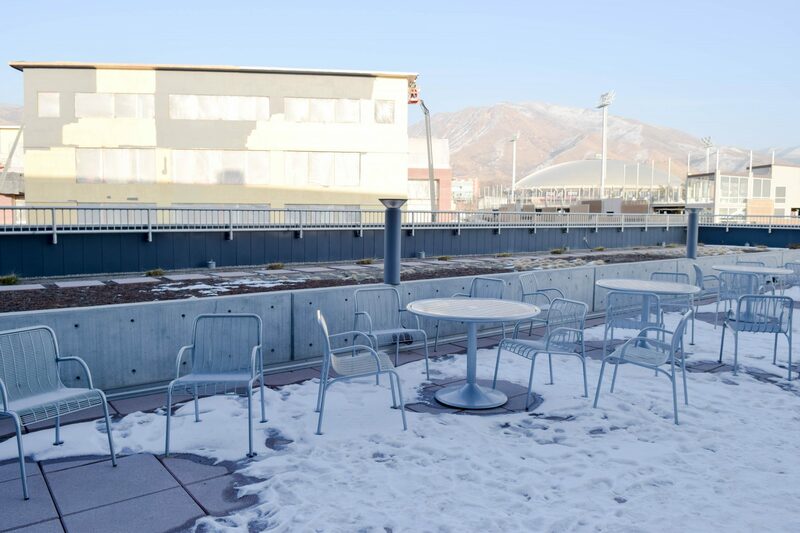 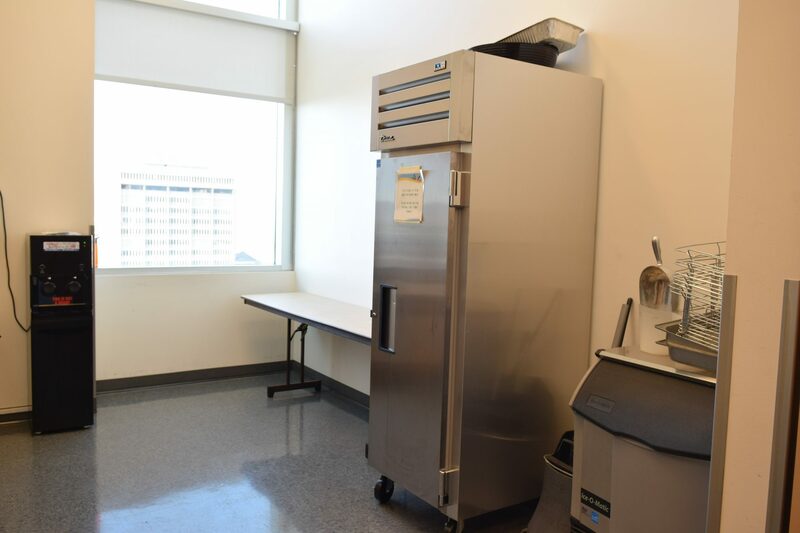 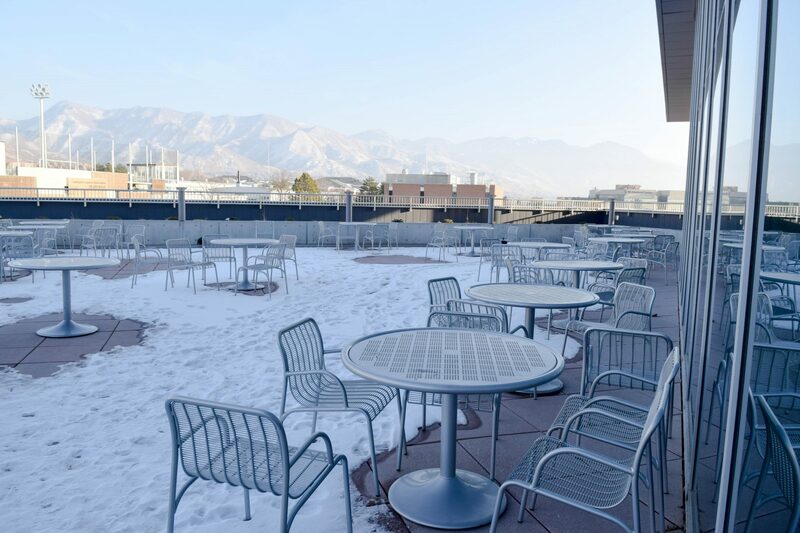 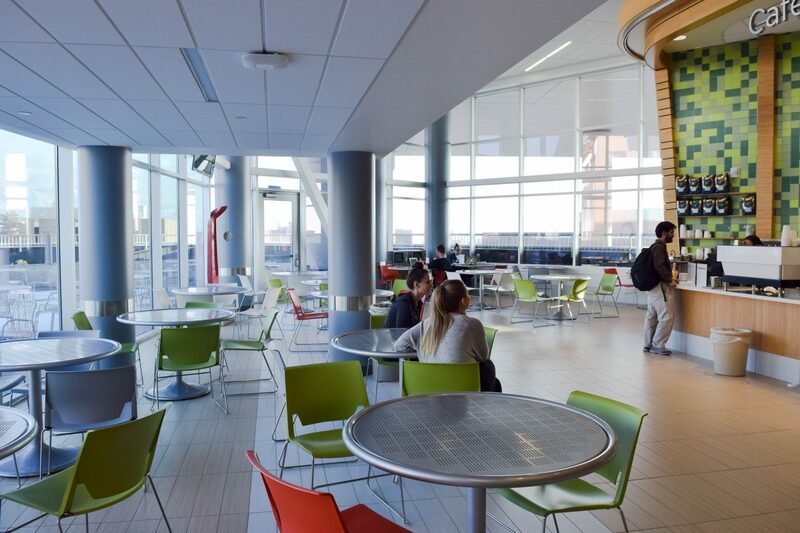 The Madsen Café is located on the 5th floor of the Spencer Fox Eccles Business building and has an adjoining outdoor patio (would not recommend use during colder months). 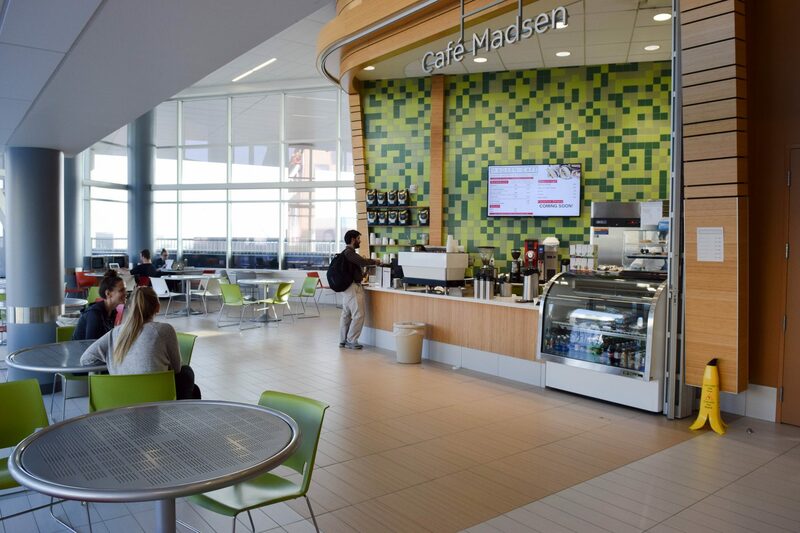 Madsen Café cannot be booked for after hours service. 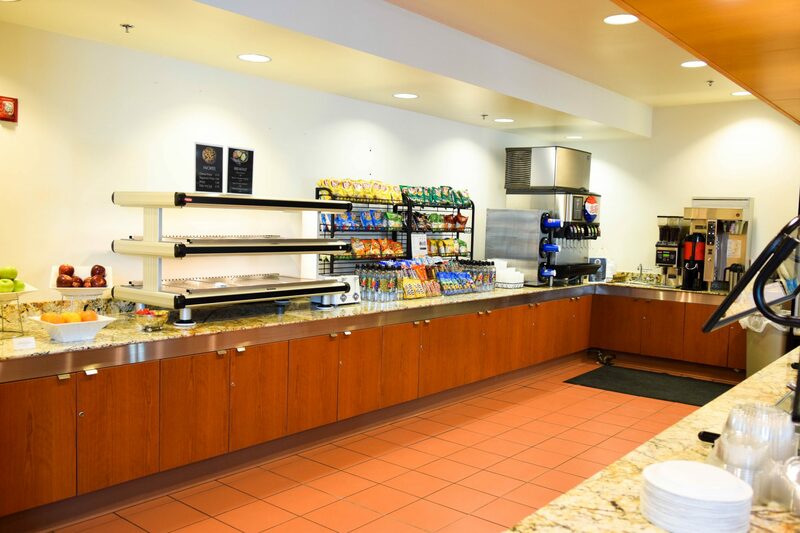 Please note: This space is best reserved for after hours events as to avoid heavy traffic during normal operation hours. 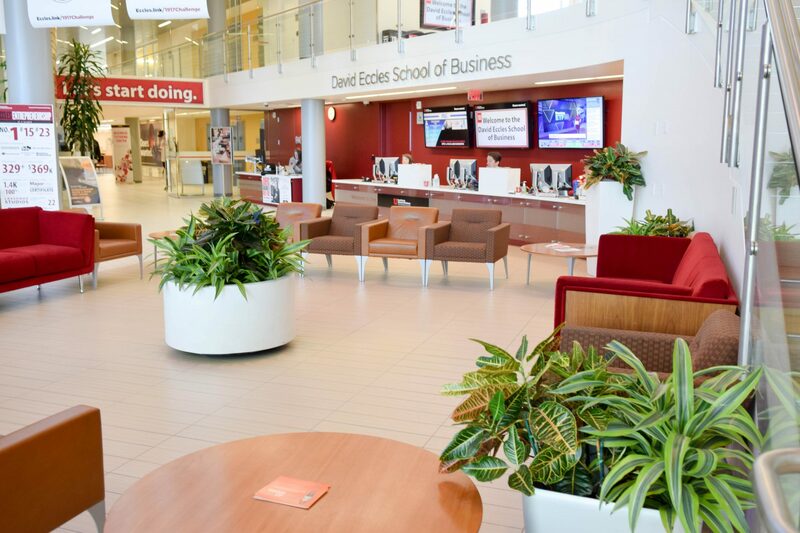 Monday – Thursday | 7 a.m. – 7 p.m.
Friday | 7 a.m. – 5 p.m. 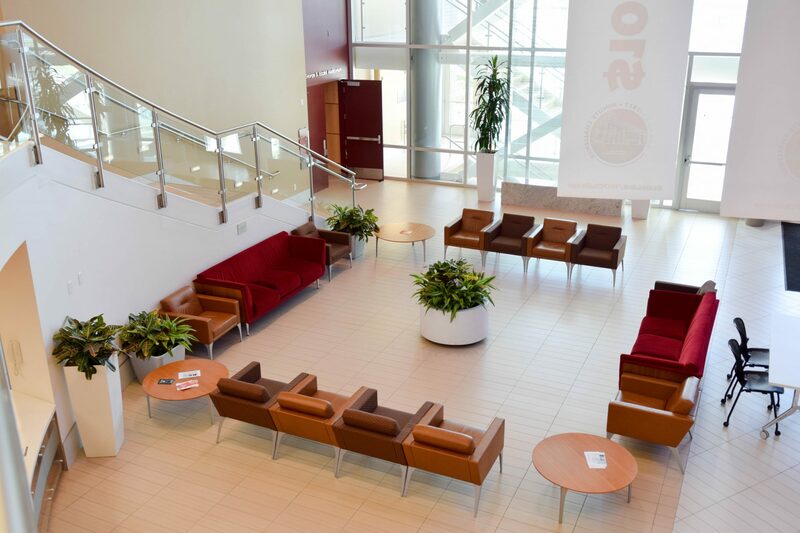 The main lobby is most often used for tabling events, but can be utilized for other setups including cocktail banquets, lunch buffets and exhibits. 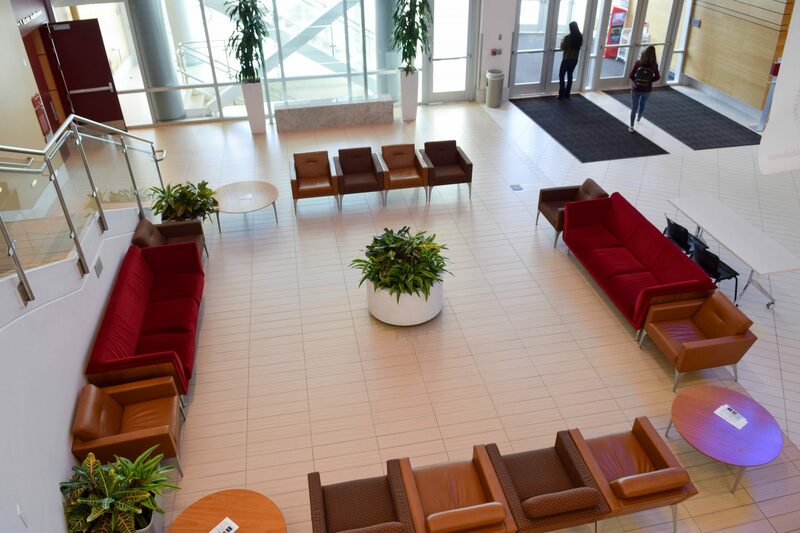 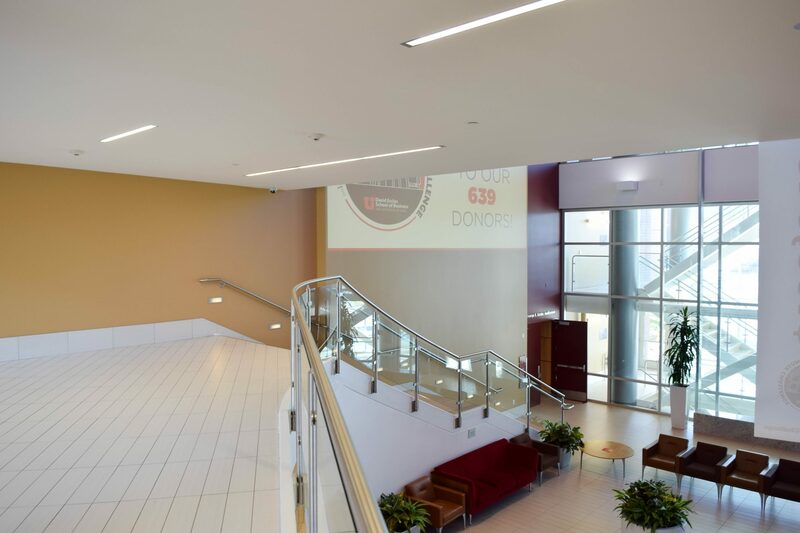 As the lobby is the primary source of all foot traffic in the building, all events with attendees exceeding 50+ people are recommended after hours so as to avoid fire hazards. 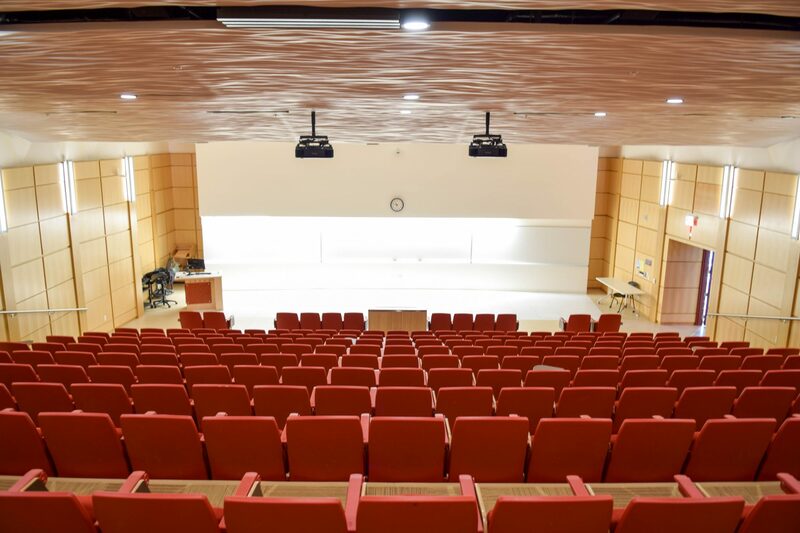 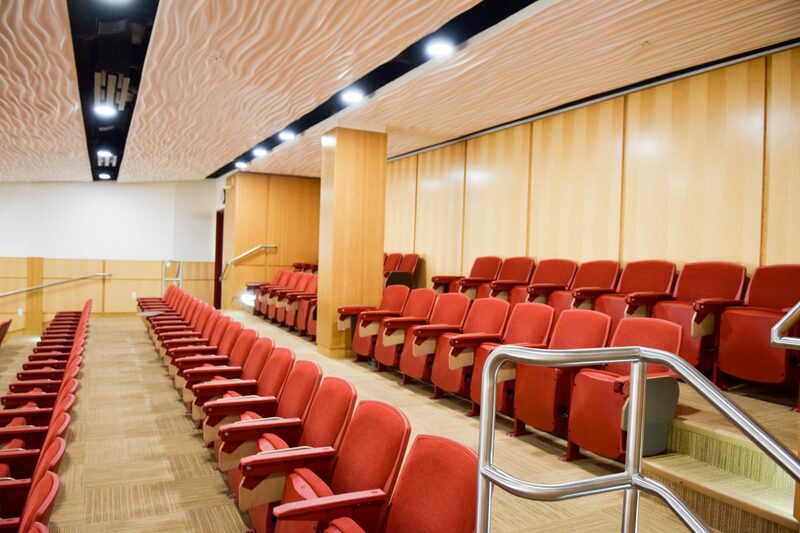 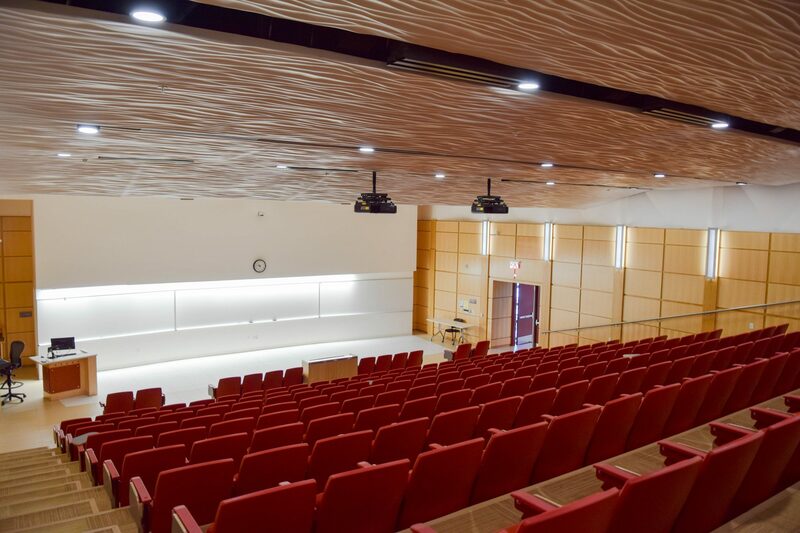 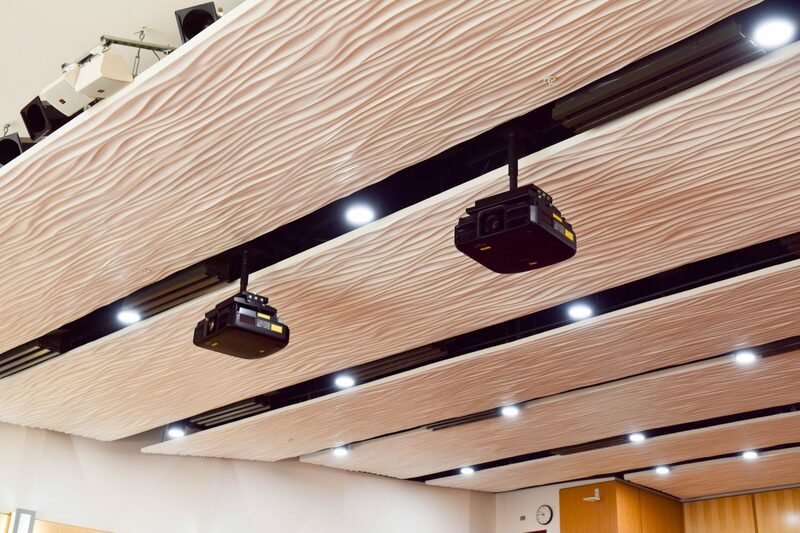 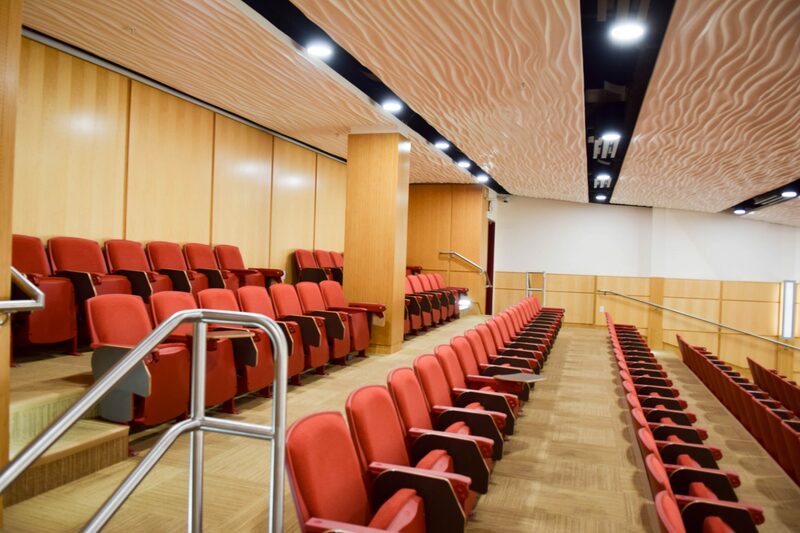 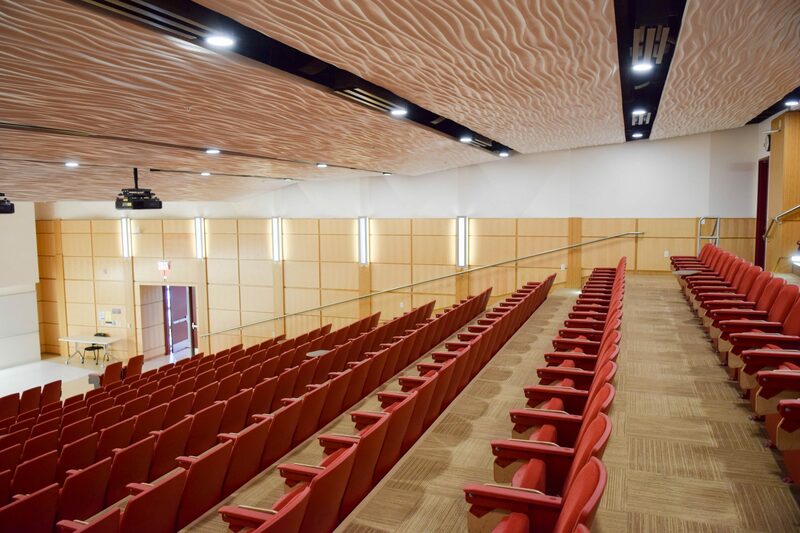 The auditorium is readily equipped for any large group meetings, professional speakers and information sessions. 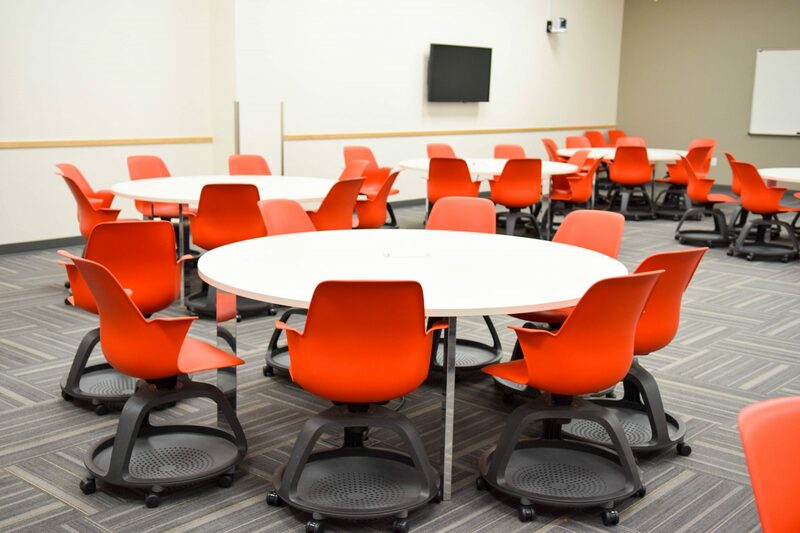 This classroom contains 10 round tables that can be split into half crescent tables. 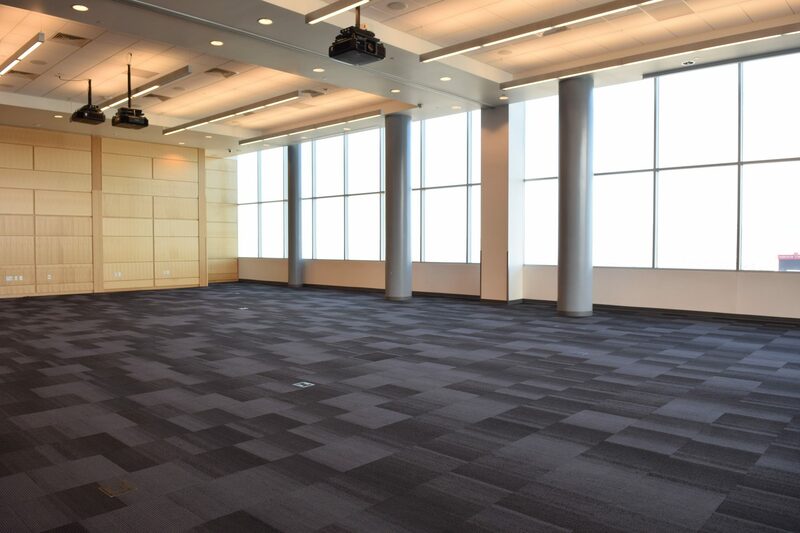 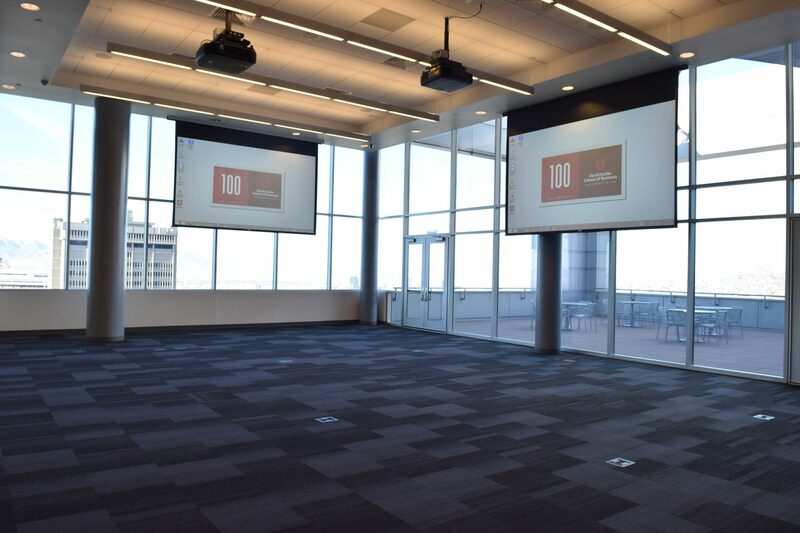 This room is ideal for lunch and/or dinners and for larger presentations. 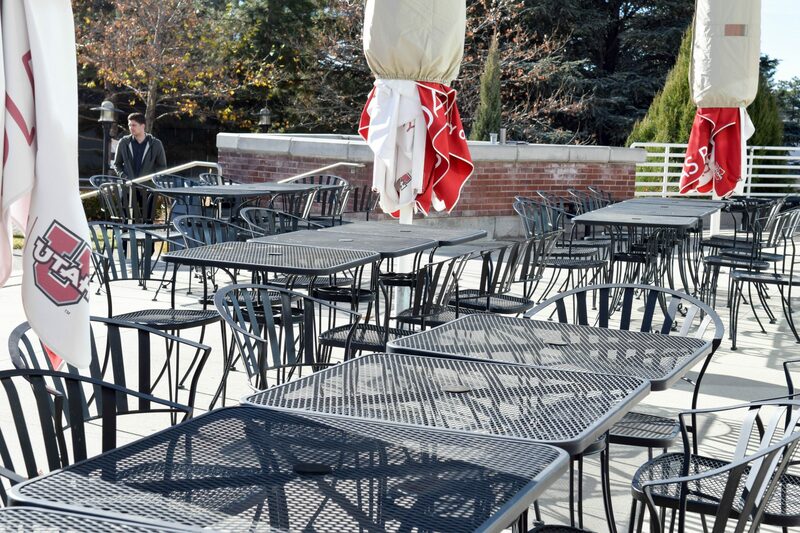 The Garden Plaza at CRCC is great for outdoor banquets and activities. 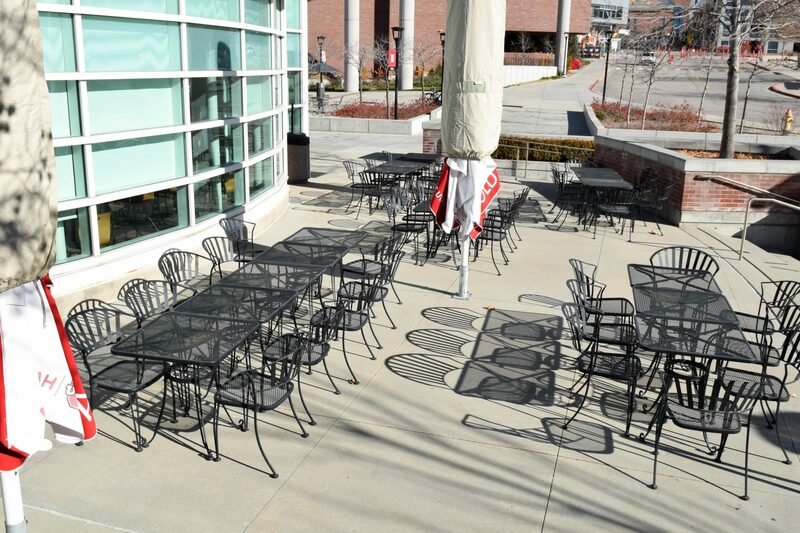 Outdoor furniture can be found on the plaza along with two outdoor umbrellas that can be opened upon request. 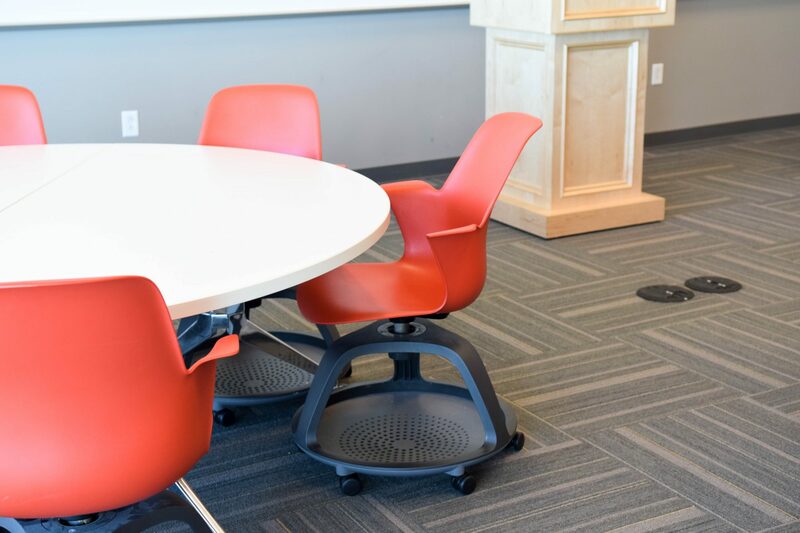 Extra round tables can also be installed upon request. 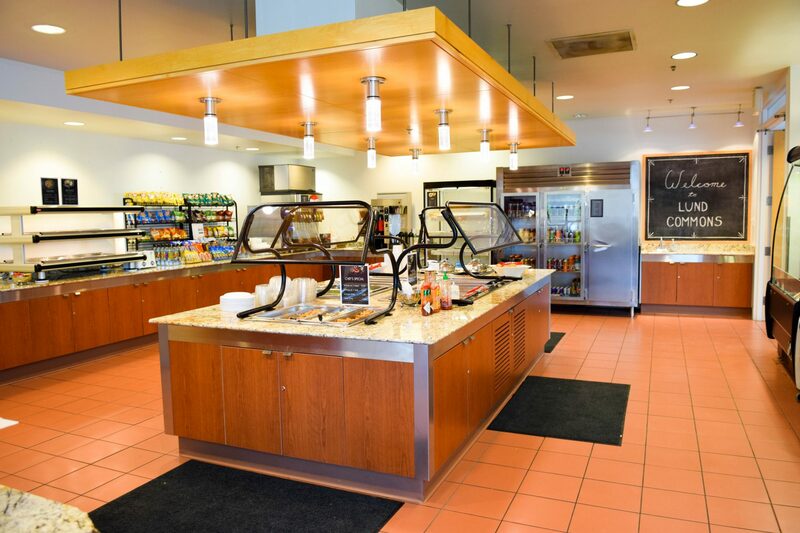 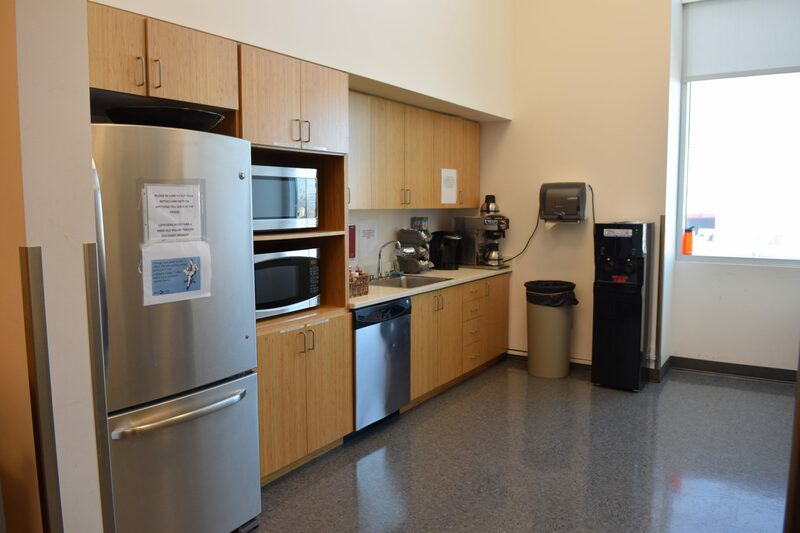 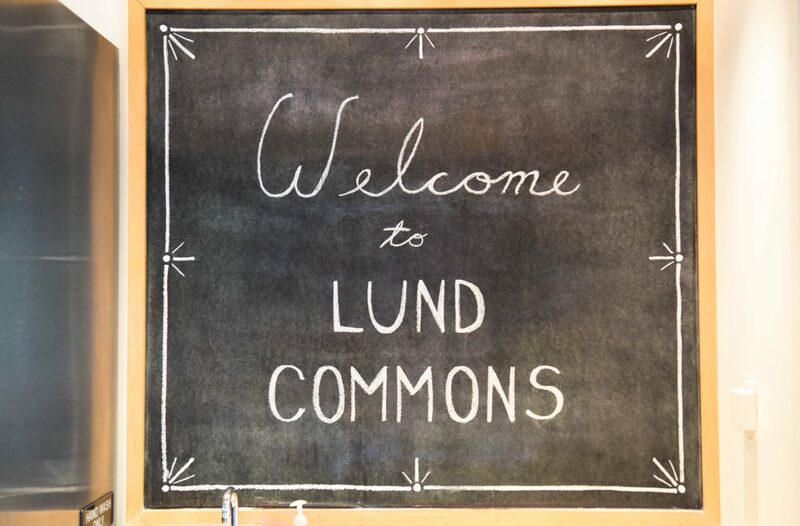 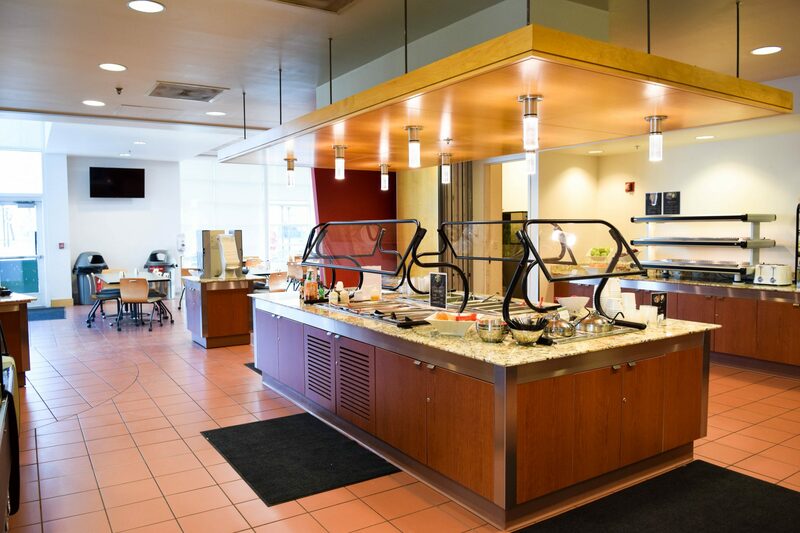 The Lund Commons space in CRCC is ideal for indoor Breakfast, lunch and/or dinner banquets. 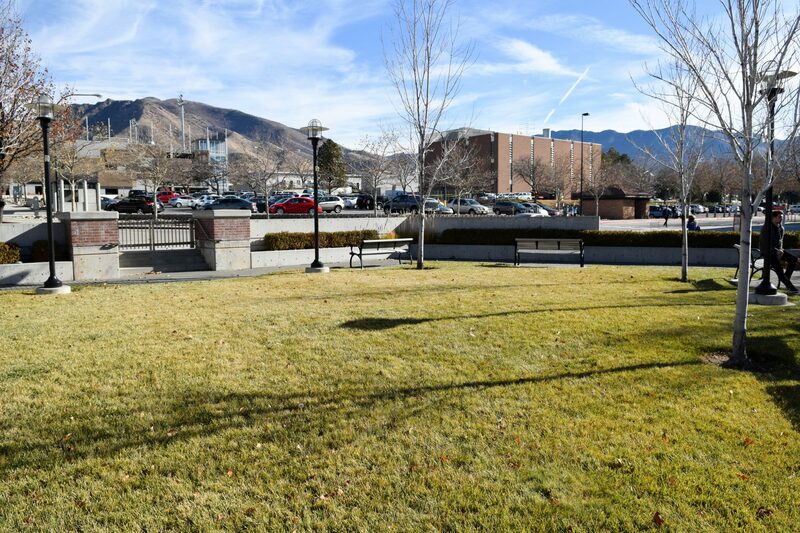 The adjoining Garden Plaza can also be utilized for attendees exceeding 50. 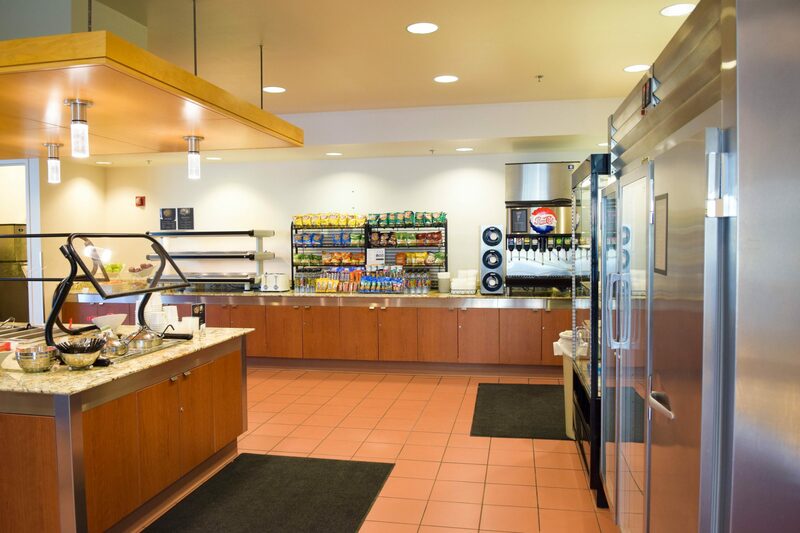 Monday – Friday | 8 a.m. – 8 p.m.